When compared to other gutter companies in the Albuquerque, New Mexico, area, ABC Seamless of Albuquerque truly excels. This is because we only design maintenance-free gutters that are custom made on-site for a seamless fit. 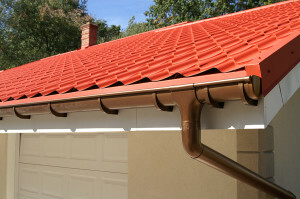 In addition, seamless gutters are simply more effective than regular gutters because the location where traditional gutters are connected is typically the weakest spot in the system and can be susceptible to cracks, leaks, or breaks. Additionally, we stand by all of the products that we install so much so that we offer an incredible labor guarantee of up to 10 years. And, that doesn’t even include the already exceptional transferrable warranties on all of the products that we offer that will remain in effect for the entire lifetime of your home. This is something that many other gutter companies will not offer. For more information about why ABC Seamless of Albuquerque is better than other comparable gutter companies in the Albuquerque, NM, area, contact us today. Also, feel free to stop by our 6,500 square foot showroom to see all of our products in person.